We can set up or convert your business or investments from other software (or none) to Xero and associated applications for your industry/scenario to ensure that you have a scalable business model and not simply a replacement for your disconnected desktop software. You can also add on Training and Support to your setup package to make sure your accounts team gets the training they need. Log in online anytime, anywhere on your Mac, PC, tablet or phone and see up-to-date financials. 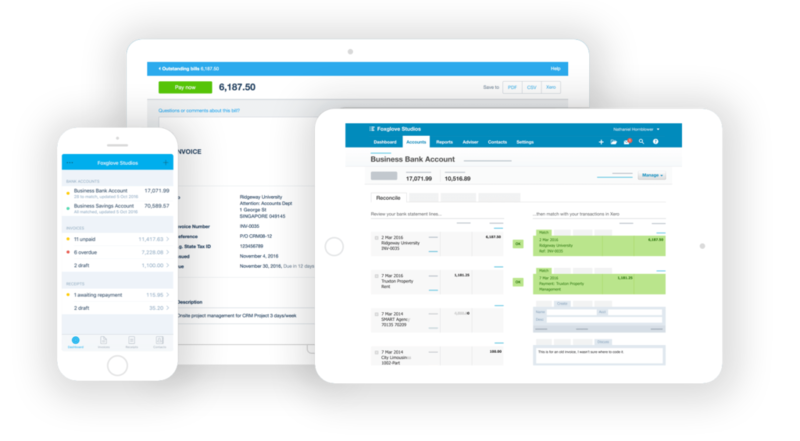 Use the Xero mobile app to reconcile, send invoices, or create expense claims – from anywhere.